Drew was born on June 3, 1904, in Washington, D.C. As a teenager he excelled in both academics and athletics, winning a scholarship to Amherst College in western Massachusetts. After graduating in 1926, he taught chemistry and biology at Morgan State College in Baltimore, Maryland, to pay off his student loans and to save money for medical school. In 1928 he enrolled at McGill University in Montreal, Canada, where he worked on problems of blood storage. He earned a medical degree in 1933. By that time blood transfusions had become safe because of KARL LANDSTEINER’S discovery of the four major blood groups; however, whole blood spoiled quickly and could be stored safely only for seven days. Returning to Washington, D.C., after finishing at McGill, Drew investigated the use of blood plasma instead of whole blood in transfusions. Blood plasma, he reasoned, would be better for emergencies because its lack of red blood cells (which contain the factors determining blood type) makes a match between donor and recipient unnecessary. In 1939, while working at Columbia University in New York City, he developed a procedure for processing and preserving blood plasma so that it could be transported great distances. In 1940 Columbia University awarded Drew a Ph.D. in medical science. He was the first African ­American to earn this degree from Columbia. (In 1908, Columbia had awarded a black man from England named Travis Johnson a medical degree.) In his dissertation he demonstrated that blood plasma can be stored far longer than whole blood. During World War II Drew became medical supervisor of a blood­transfusion program in England and introduced the use of “bloodmobiles,” trucks equipped with refrigerators, to transport blood to victims of bombings. Upon his return from England in 1941, he was recruited to direct the American Red Cross Blood Bank in New York City. His first assignment was to organize a massive blood drive for the military, but he resigned in protest when the government backed the military’s request that the collected blood be categorized according to the donors race. He argued that there was no scientific evidence showing that blood differs with race, statements that were later confirmed by others’ experiments. Later that year Drew became professor of surgery at Howard University and chief surgeon at Freedmen’s Hospital. 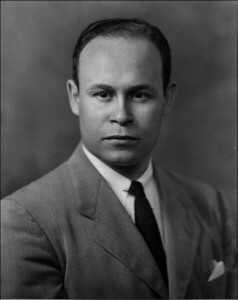 In 1944 he earned a Spingarn Medal from the National Association for the Advancement of Colored People. On March 31, 1950, he was killed in a car crash near Burlington, North Carolina, en route to a medical meeting at the Tuskegee Institute in Alabama. Drew’s pioneering work in blood preservation saved thousands of lives and opened the way for future innovations in blood preservation. The replacement of whole blood with blood plasma in transfusions expanded the opportunities to perform life­saving transfusions, both because donor­recipient matching is not necessary with plasma and because it can be stored for longer periods of time without going bad. Drew was also an inspirational teacher and role model for many African­American students. His insistence on drawing attention to racial biases in medical research— when he resigned as director of New York City’s American Red Cross Blood Bank—encouraged others to disprove the assumption that there is a difference in blood types of different races. Posted on March 7, 2015 by Natalie. This entry was posted in Uncategorized and tagged Medics. Bookmark the permalink.